Aproove Express is an affordable professional turnkey solution that enables the automated submission of digital proofs from any Switch workflow to print buyers. Offered as a cloud service, Aproove Express is available anytime, on any computer or mobile device. Configuration in Switch is a breeze. 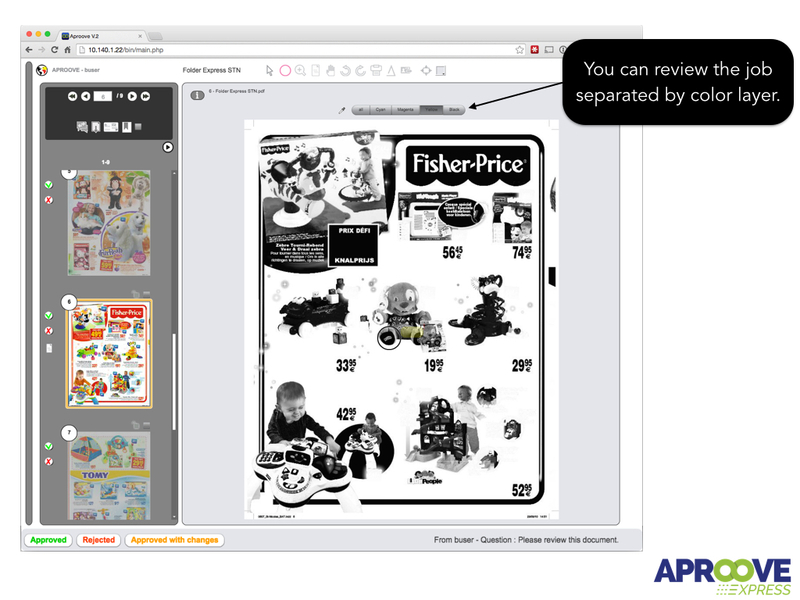 Simply enter your login and password for your Aproove Express account and choose how the digital proofs are to be displayed in Aproove Express to the print buyer. 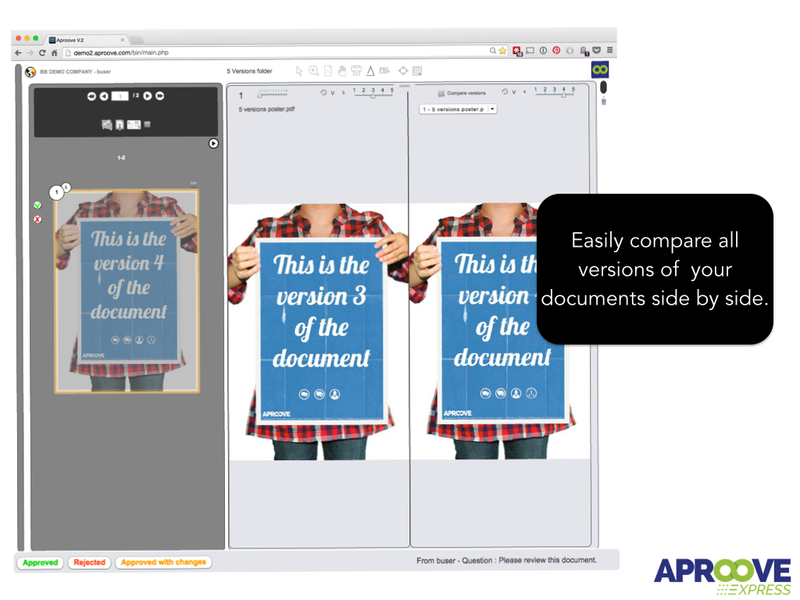 For files to be reviewed, approved or simply exposed as a flipbook or a dynamic flatplan, you simply drag the Aproove Express configurator into a Switch flow. Aproove Express automatically invites the right people to participate in the approval process, and since Aproove Express is web-based, no training is required. 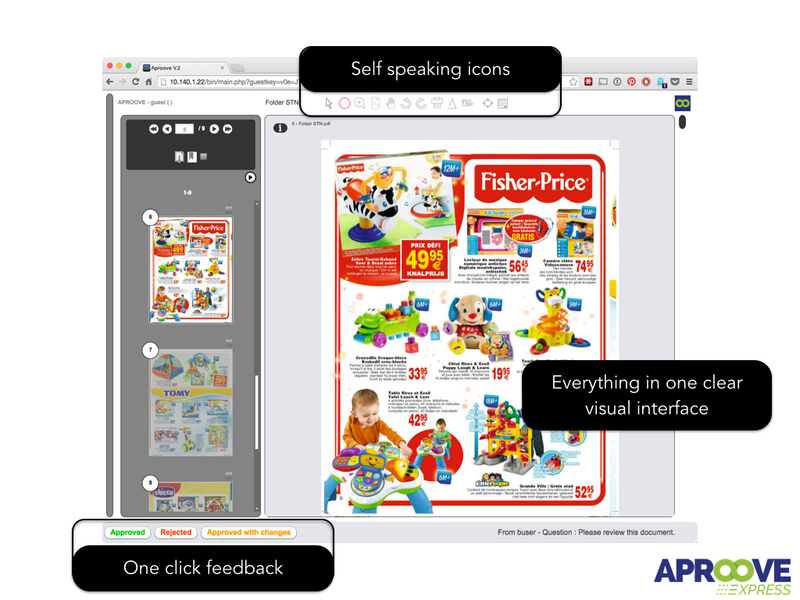 Aproove Express is based on renowned Aproove Online Proofing Display technology, already used worldwide by millions of users since years. 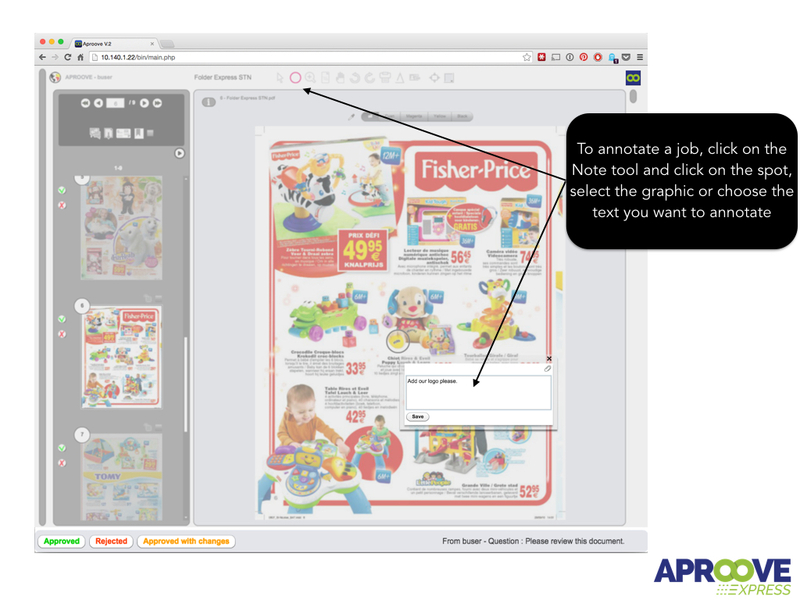 Aproove Express has Adobe Technology inside ensuring a steady contractual interpretation of the PDF files. Online proofing connector to Aproove Express service. Enable Online proofing capabilities for any switch workflow with feedback management directly handled in switch to redirect files according to proofing decision.